Home » OMNITRONIC » Do, whatever you want! A small mobile sound system in modular design – that is the MOM-10BT4 from Omnitronic. The basic equipment of the system can be extended with individual components and thus adapted to every intended application. 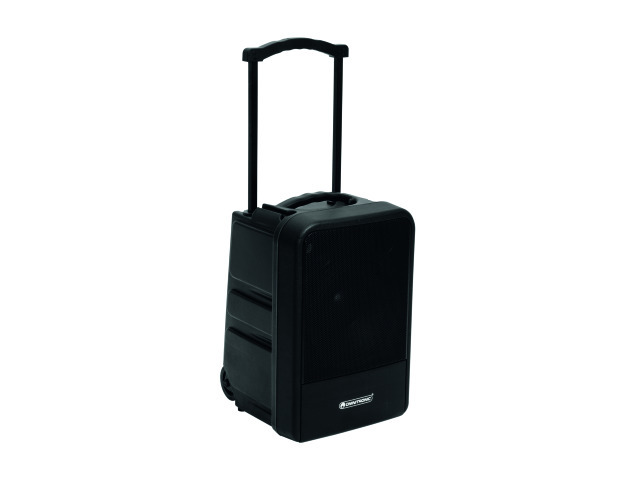 Whether for the street musician or the conference: The 2-way PA system (10″) Omnitronic MOM is the right choice. In its basic configuration, the MOM-10BT4 has a Bluetooth interface, 2 microphone inputs (with tone control and reverb function) and a line input (XLR or jack). A mixer unit controls the individual components. A CD/MP3 player module, a radio microphone module, a battery module for mobile operation and an audio link module for simultaneous operation of several speakers are available as additional extensions. All components can be ordered separately. Depending on your needs, the box can be used in a basic version or fully equipped. The mobile system also offers useful features that make working life more pleasant: A talkover function (Voice Priority), a USB interface for charging mobile devices, a built-in trolley handle for easy transport and a speaker stand flange. 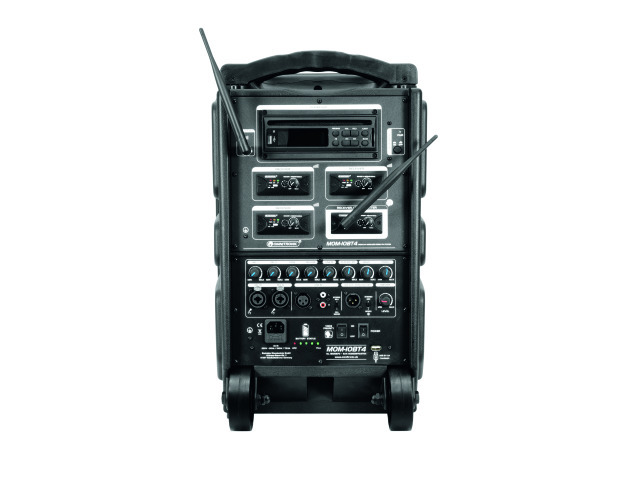 A protective cover with storage space for cables and UHF transmitters is optionally available. More information and pictures of the Omnitronic MOM can be found at https://www.steinigke.de/en/omnitronic-mom/.